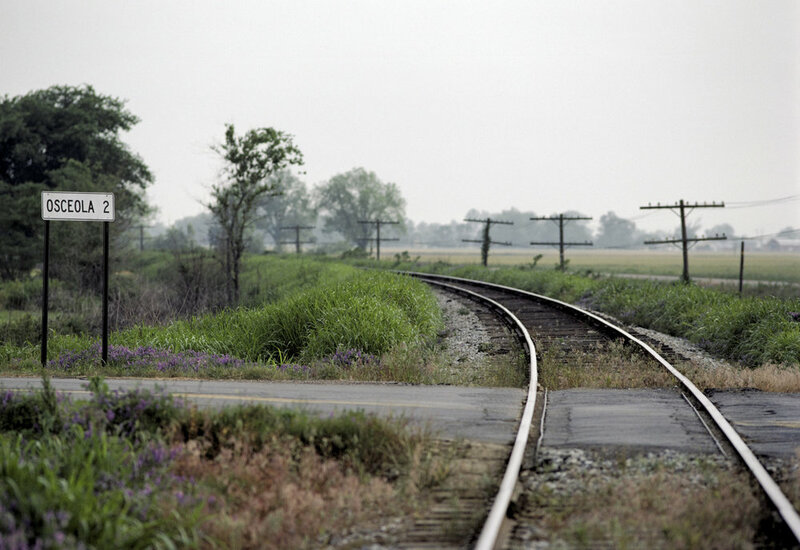 Railroad tracks run along the top of the river levee raised above floodplain of the Arkansas Delta along the Mississippi River. The levee is a dike or embankment developed as a ridge or wall to control river flooding. Mississippi River levees are maintained by the U.S. Army Corps of Engineers. The bright haze is typical of summer in the Delta region. Bald cypress trees and lush aquatic vegetation proliferate in a Louisiana bayou. Bayou environment is a river of slow moving water and wetland or lake habitat for wildlife. Bayous are common in Gulf Coast region. Bald cypress is also known as swamp cypress, baldcypress, and tidewater cypress. Mississippi Daughters of the American Revolution stand proudly in parlor of antebellum mansion in Natchez. Founded in 1893, the Mississippi State Society DAR is a volunteer group of 4000 women with ancestral links to early American history. These members are dressed in 19th century style dresses or gowns appropriate to interior of 'Rosalie,' built in 1820. The organization's motto is 'God, Home, and Country.' Many antebellum, pre-confederacy houses survive in Natchez on the Mississippi River. Young mothers display their infants in a Beautiful Baby Contest on Independence Day, July 4, 1976, in Hannibal, Missouri. The youthful Caucasian women are proud of their babies and hope they will win the competition. Volunteer fireman with old red fire truck in this town along the Mississippi River. The fire engine truck was an antique but in use. Man wears a blue t-shirt. 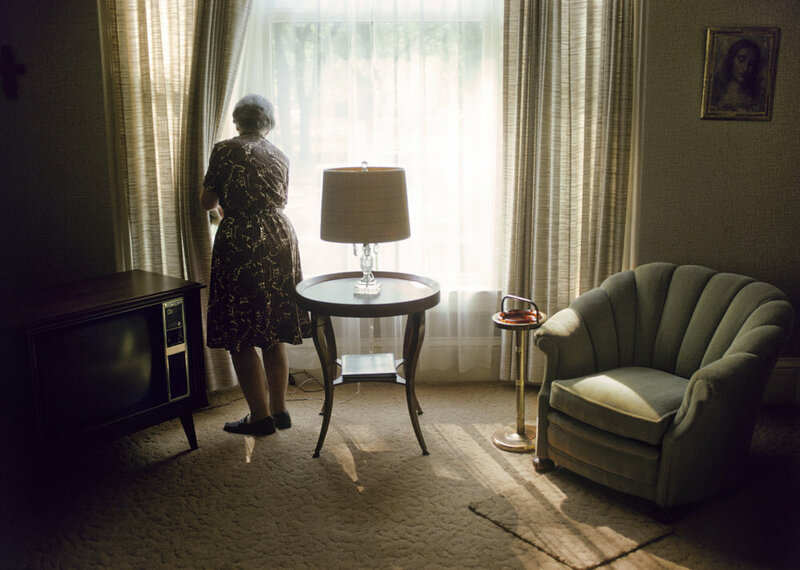 Mary Sieracki, 75 yr. old, is housekeeper cleaning a tidy living room furnished with traditional furniture. The domestic interior is in the bishop's residence in Winona, Minnesota. Impoverished, African-American children stand around a shack in Pattison, Claiborne County, Mississippi. 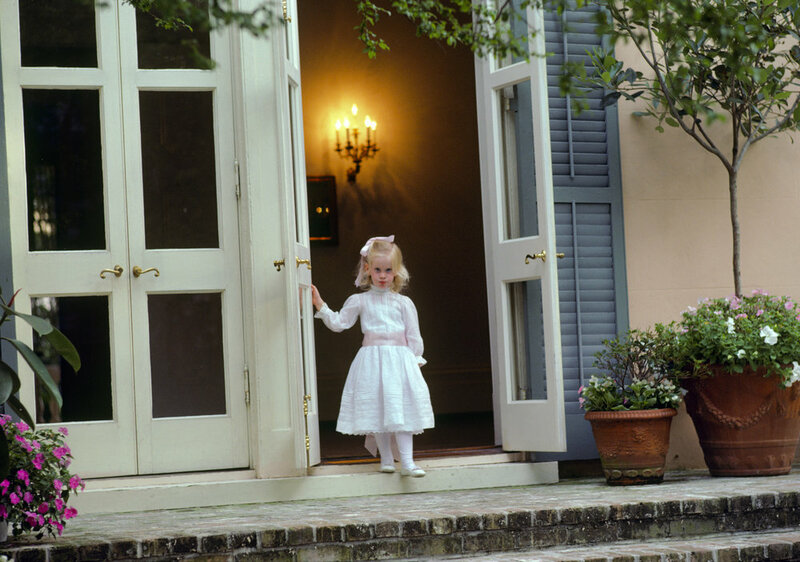 Rural poverty is common in one of the poorest regions in the American South. The kids are underprivileged, disadvantaged, and near destitute. A young woman grooms her hair in the interior of a shack in Beulah, Mississippi. The African-American girl stands before a heater in the dilapidated domestic room. Most people in the poor town in the Mississippi Delta live in poverty and deprivation. Flea market items of secondhand cheap clothing and housewares are displayed on a Cadillac automobile. In Memphis, Tennessee on March 28, 1983. The items include used shoes and other clothing in a garish jumble of kitsch castoffs and unwanted junk. Image suggests property and materialism. Men framed in arched windows of an old brick building in Davenport, Iowa near the Mississippi River on May 1, 1983. One man is smoking a cigarette and other holds head as if in pain. The windows are on a cheap, grim rooming house or tenement building and the Caucasian white men appear to be unhealthy, blue, miserable, dejected, sad, despondent, depressed, lonely, and poor. Mammy's Cupboard (founded 1940) is a roadside restaurant and gas station built in the shape of a mammy archetype located on US Highway 61 south of Natchez, Mississippi. The woman's skirt holds a dining room and a gift shop. The skirt is made out of bricks, and the earrings are horseshoes. She is holding a serving tray while smiling. The restaurant currently serves lunches and desserts. The author of Crossings: a white man's journey into Black America described the restaurant as 'a massive statue. Storefronts on Beale Street, Home of the Blues, in Memphis create a random geometric pattern design. Beale Street in downtown Memphis is the historic home of blues music. The street was originally developed in the 19th century as an entertainment district but was rundown when this photo was taken in 1983. The façade graphic shapes of lines, squares, and rectangles of dilapidated signs and buildings are suggestive of art by Piet Mondrian. Preston Jackson, 1902-1983, a veteran trombonist of Preservation Hall, practices in courtyard of his home in the French Quarter, New Orleans. Mr. Jackson, an African-American professional jazz musician, is playing a slide trombone, which is a brass instrument. Wade Walton (1923-2000), a legendary Delta blues musician, plays guitar in interior of his barbershop in Clarksdale, Mississippi. Mr. Walton made his living as a barber but is considered one of the greatest performers of Delta Blues music, centered in Clarksdale on the Mississippi River. One barber chair occupies the barbershop. 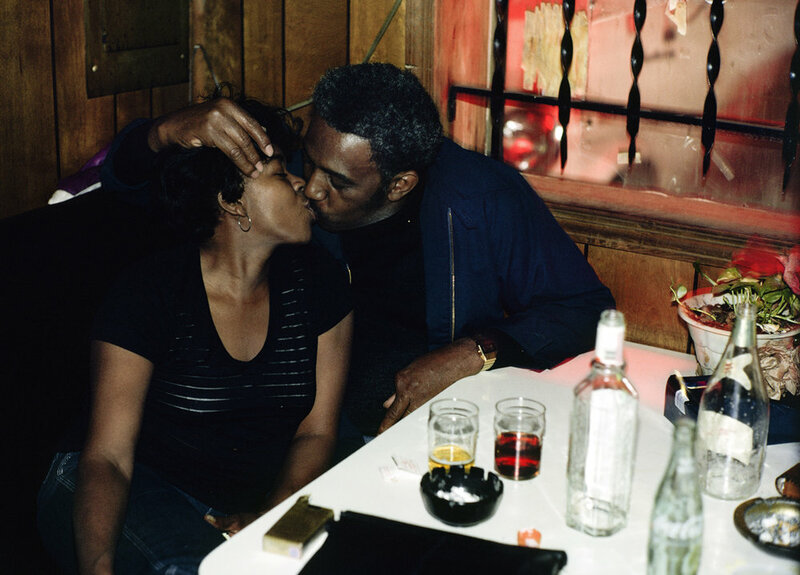 African-American couple embrace with passion and kissing in a nightclub on a Saturday night. The club or bar is 'Red's Lounge' and a venue for Delta Blues music. Bottles of beverages including beer and Coca-Cola are on the table.